Who’s Afraid of Jean Lafitte? The first day of bioblitz is officially here! As you’re reading this, National Geographic staff is descending upon Jean Lafitte National Historical Park and Preserve in New Orleans, Louisiana to conduct a bioblitz, or biological inventory, alongside the National Park Service and more than one thousand volunteers. Lucky for me, I get to lead some of the visiting groups of local school kids on terrestrial inventories. It’s our responsibility to count the number of organisms we see in a given plot of land. Unlucky for me, my groups have been tasked with counting bugs. Bugs. We’re supposed to purposefully seek out the bugs of the park. Here I thought bioblitz was my ticket to escaping these creepy-crawlies (a la DC’s cicada invasion ), and now I am literally supposed to count as many roaches, beetles, earwigs, flies, aphids, cicadas, hoppers, ants, bees, wasps, termites, butterflies, moths, mantids, lacewings, dragonflies, damselflies, grasshoppers, walking sticks, and true bugs as I possibly can. This inclement threat of bugs, (or macroinvertebrates as their supporters refer to them) started me to thinking. 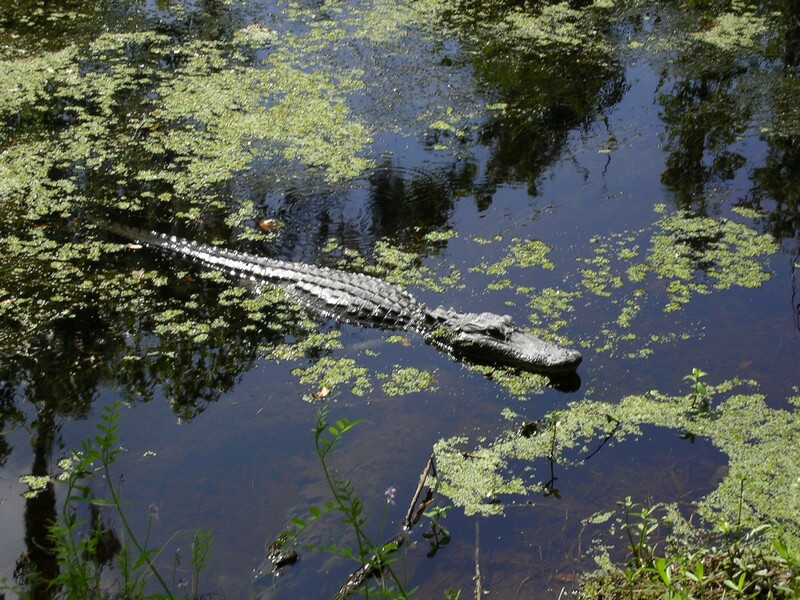 Is there anything else lurking within the borders of Jean Lafitte to be afraid of? Yes. As a matter of fact, it turns out there are quite a few things to be afraid of. Here’s the rundown. Read on if you dare. Jean Lafitte’s namesake is borrowed from (who would’ve guessed it) a man named Jean Lafitte. Nicknamed “The Corsair,” “The Buccaneer,” “The King of Barataria,” “The Terror of the Gulf,” “The Pirate King,” and “The Hero of New Orleans”, this pirate played a pivotal role in the development of the Gulf’s frontier. 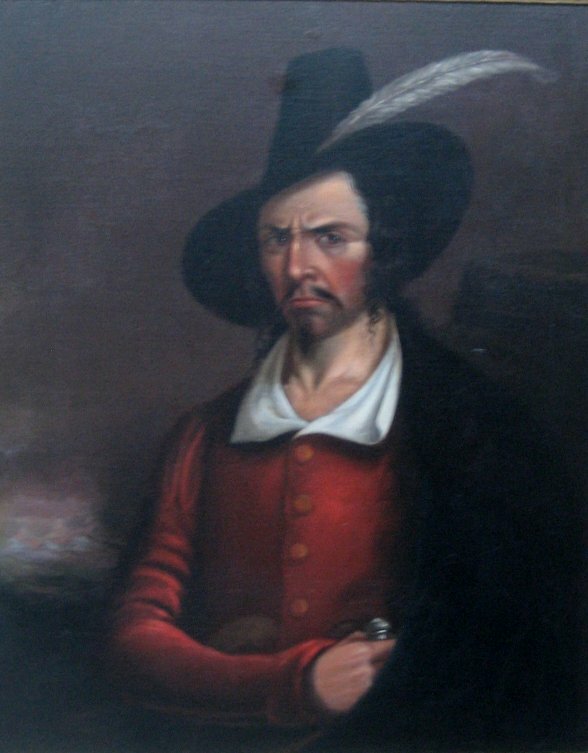 The only thing scarier than Jean Lafitte is the ghost of Jean Lafitte. 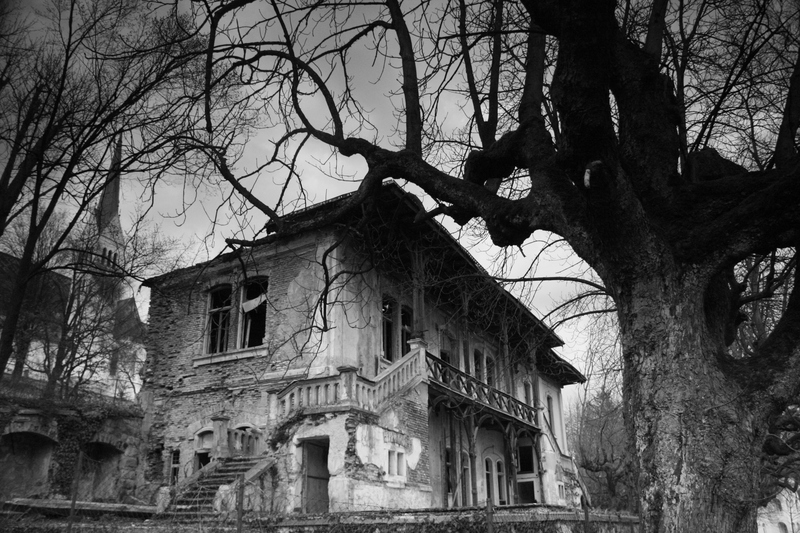 Louisianna is famous for it’s ghostly residents and Lafitte and his crew are no exception. Some stories say that while living, Lafitte buried his gold somewhere along the coastline. Today, it’s said that he and his pirate crew continue to guard their buried treasure in death. I hope I don’t find out. I’m sorry but they’re just so big. 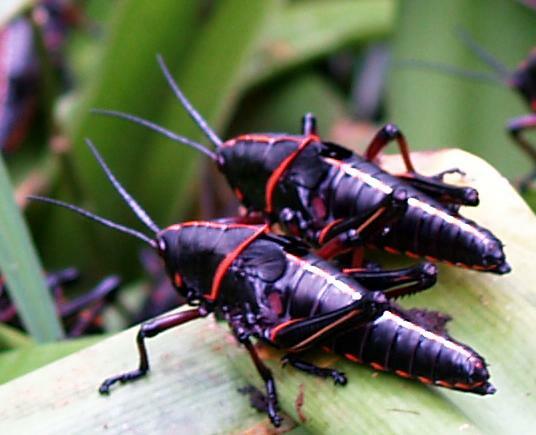 Lubber grasshoppers can grow to be 2 ½ inches long, and I was told today that writing spiders, like this one, can grow to be the size of a half dollar coin. At least their size will make them easier to count. New Orleans is famous for it’s uniquely delicious food. 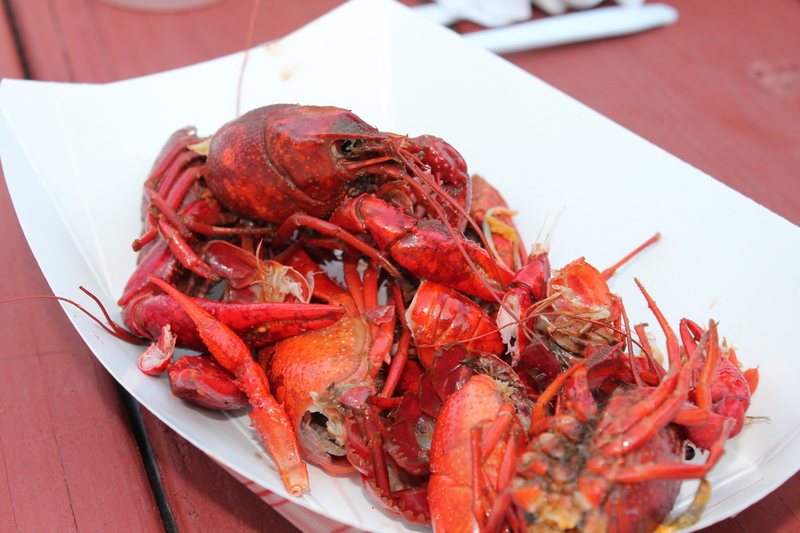 Cajun and Creole cooking resulted from the blending of many cultures, but can be very spicy. Actually, I’m pretty excited about seeing these guys. As you might now realize, the answer to the titular question “Who’s afraid of Jean Lafitte?” is “Me.” I am. I am afraid of what critters we might find there and of what might crawl on me in the process. But, like any good explorer I won’t let that stop me. Yes, the bugs may be abnormally large down here, but the biodiversity of them is astounding. So, even if they are a little scary I can’t wait to get out into the park with the students to see what we’ll find. The hopefulness of the unknown is what makes it fun. So, away we go! 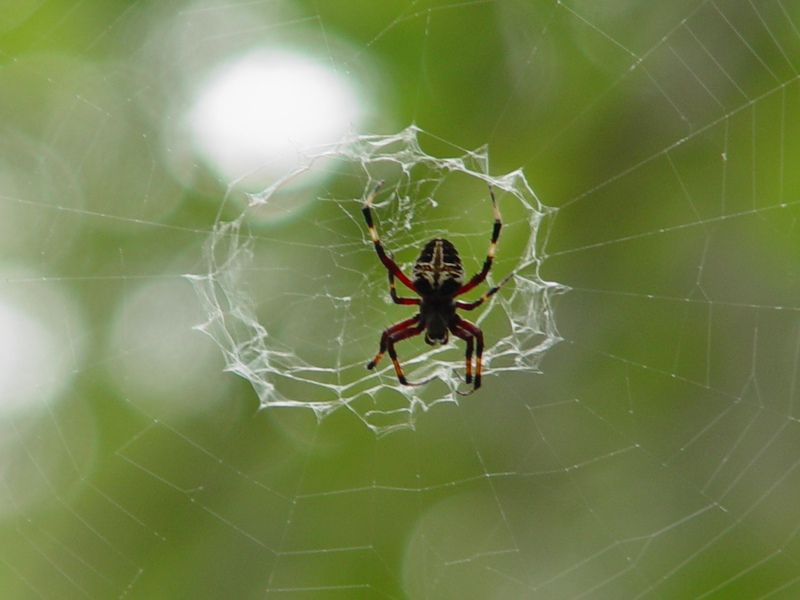 For more information on bioblitz, visit these webpages. To see what we’re seeing in the park, search the tag #BioBlitz!